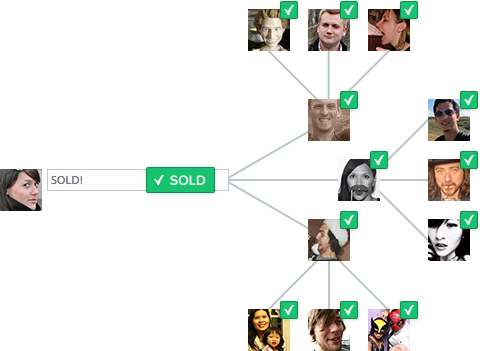 Soldsie is a Facebook app that allows you to sell through comments on your page. It's easy and fun to turn Facebook into your best sales channel. Soldsie works alongside your existing e-commerce channels, and helps you sell directly to your Facebook fans on Facebook. Simply connect your Soldsie account to your Facebook Page. There is no installation or separate logins to manage with Soldsie. 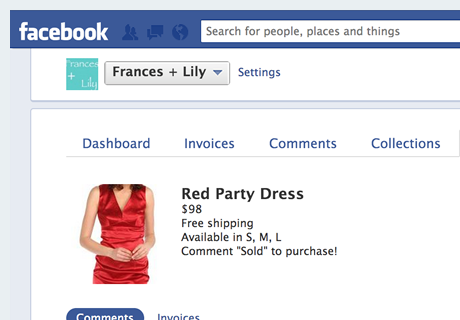 With Facebook as your business dashboard, Soldsie makes it fun to sell to your fans. Your product photos are then transformed into sales campaigns on your Facebook page --- where you can control inventory, set shipping promotions, and offer pricing specials. 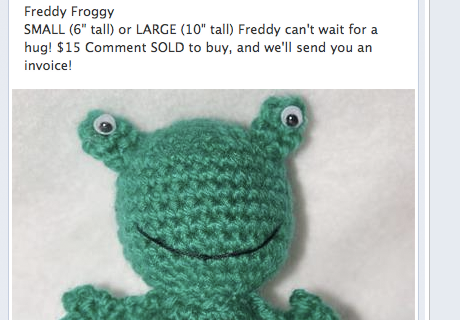 Sales campaigns become Facebook posts and, to purchase, your fans just write "Sold" in the comments. They then connect on your Facebook page, receive an email invoice of their order, and then checkout. 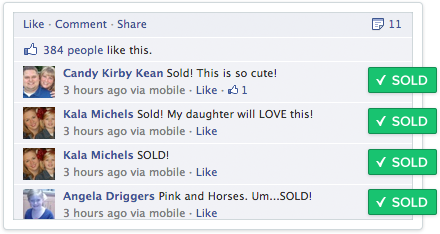 As fans comment, your sales trend on Facebook as each photo is shared with your fan's Facebook friends. Soldsie works on any mobile device or anywhere your fans can see Facebook. 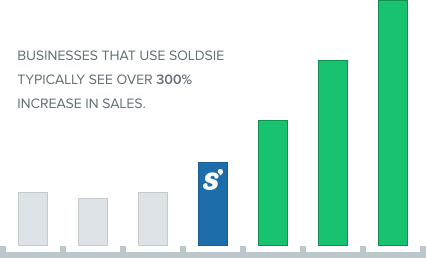 Soldsie gives you more time to grow your sales with less headaches. Automatic invoices, payment reminders, inventory management, waitlists and customer communications. Manage buyers, waitlists and customer communications. Automate payment reminders and cancelations. Connect your PayPal account or offer buyers PCI compliant credit card options. We offer live chat with our customer support team and a knowledge base full of articles.